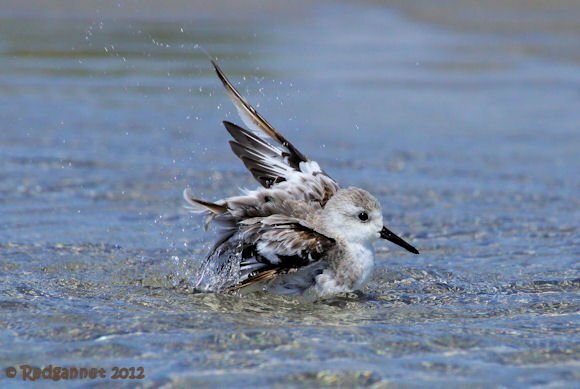 A day spent with Sanderlings is surely a day well spent. Even when they are not feeding in their endearing manner, chasing the waves back and forth, Sanderlings are still one of the most watchable birds that you are ever likely to see. I missed my OCD therapy session today and do you know, it didn’t matter. My travels this week took me to Miami, where the ocean could barely summon the energy to lap gently against the sand. 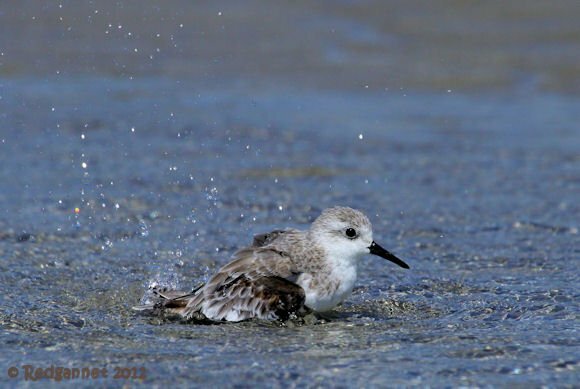 Sanderlings have the ability to slow time as each fluid run matches and marks an ocean’s pulse beat and a clock’s tick. Like a long pendulum, running in with the wave, ‘tick’ and gently back down the beach, ‘tock’. 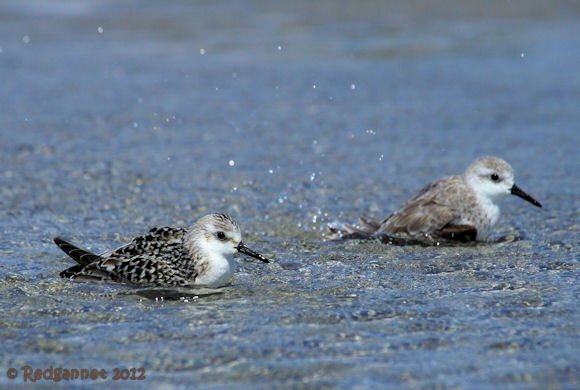 Today there were no waves to chase, so the Sanderlings relaxed and bathed, while for me, Time stood still. Thank you, your post made me slow down and breathe. I love Sanderlings, too. Their movement is so invigorating, almost joyful, to watch. Your photos are soooooo much better than mine!